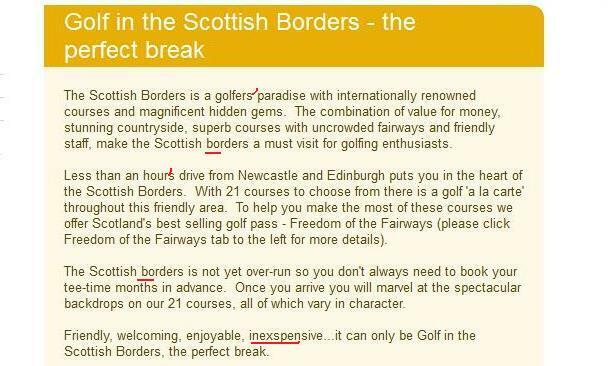 Submitted yesterday by @JanetOKane, the Visit Scottish Borders website is not consistent with a few things. Our errant apostrophes here relate to the (missing) possessive. Consistency on ‘Borders’ would be useful, as would use of a spellcheck function.